Please refer to our stock # DJ599 when inquiring. 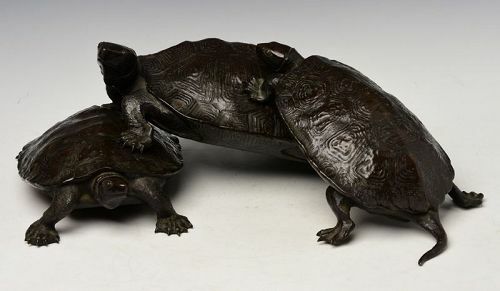 Extremely rare Japanese bronze signed triple turtles. Measurement: Height 18.8 C.M. / Width 46 C.M. / Length 52 C.M.